The NEW DF-SPR67 Self-Piercing Riveter (SPR) is the hot new tool for joining aluminum panels together. The cold forming technique requires no heat and no pre-drilled holes. 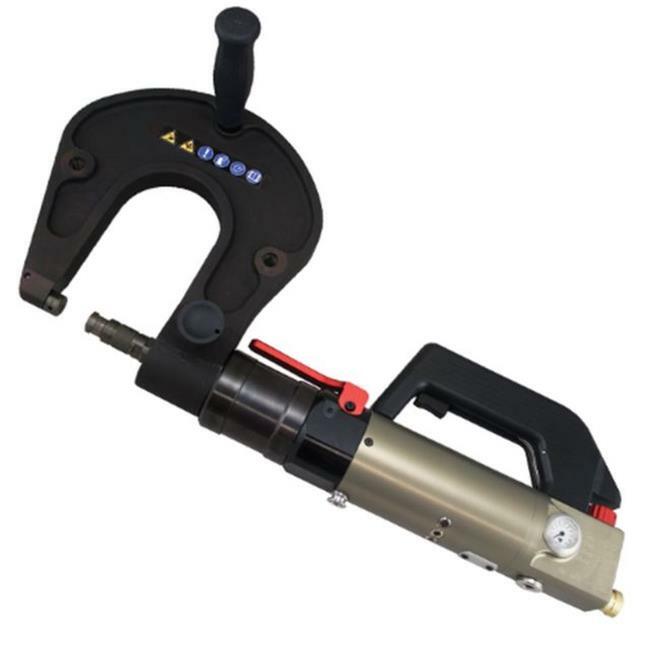 Dent Fix's Self-Piercing Riveter is a reliable tool for riveting aluminum panels (up to 6.5mm) together with high dynamic strength. The pressure and speed controls increases accuracy and enable the rivets to be inserted without panel distortion. Pneumatic operation ensures continual pressure compared to battery operated units. The included HR2 arm allows for a wide variety of Manufacturing applications and rivet installation locations. Ergonomic design with support grip allows for easy and comfortable use.